The SP95M series has a range of accessories available from our online shop. 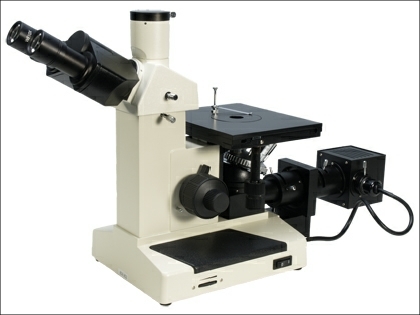 The SP95M is a particularly well built inverted trinocular metallurgical microscope that is ideal for the examination and analysis of metal, alloys and opaque substances of all kinds. 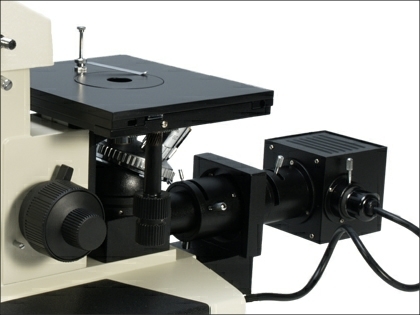 The instrument has a large square mechanical stage with drop down coaxial controls and measures 200 x 152mm. Central removable plate and variable depth specimen clip. Coaxial coarse and fine focus controls with safety stop and tension adjustment. Quadruple objective turret with positive indexing and excellent quality long working distance plan objectives. Widefield x10 eyepieces supplied as standard. 6 volt 20 watt quartz halogen rheostat controlled Kohler illumination. Height 470mm. Footprint 450 x 400mm. Weight 8 kg.